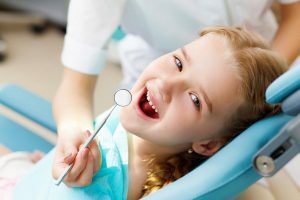 For children who are very young or who have a high level of anxiety that prevents the dentist from providing treatment, the dentist may recommend some level of sedation. There are many safe and effective sedatives available that can help relax your child and promote a good environment for optimal and safe dental treatment. Conscious sedation is an option for children who are mildly apprehensive. This highly effective method can be administered in oral form (children less than 60 lbs) or in an inhalation method using nitrous oxide (N20-02). Deep sedation is sometimes necessary for children that are unable, by either age or maturity level, to cooperate during dental treatment. Our practice utilizes a certified anesthesiologist for cases where the patient may pose a threat to their own safety during treatment. This will be discussed with the parents/guardians of the patient before treatment to ensure the optimum beneficial outcome.